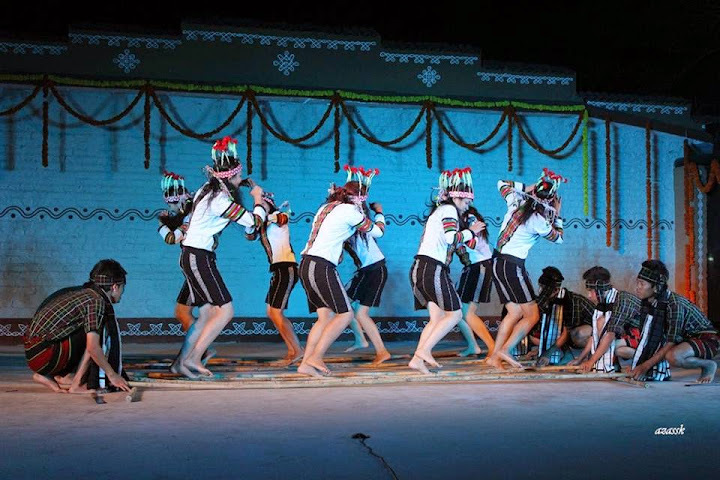 The college’s Chhawkhlei Cultural Club which was formed on the 9th October 2012, represented Mizoram during 24th March to 1st April in the North East Zone Cultural Centre (NEZCC) Silver Jubilee Celebration at Dimapur, Nagaland. 16 members participated in this event. • Chhawkhlei Cultural Club went on a Tour to Mysore, Bengaluru and Chennai between 27th Sept and 10th October 2014 participating in the Mysore Dussehra Festival and Cultural Festival in Innovative Film City, Bangalore. • Chhawkhlei Cultural Club performed at the MZU General Assembly held between 8th to 10th October,2014. • Chhawkhlei Cultural Club performed at the East Zone Inter University Football Competition Closing Function on 25th October, 2014. • Chhawkhlei Cultural Club performed at the SSU General Assembly at 8th Dec, 2014. • Chhawkhlei Cultural Club went on a Tour to Hyderabad between 25th to 31st March to participate in the Diverse Cultural Tradition of North East with Telangana at Shilparaman.